Finally broke down and bought a Large BGE. Cooked some steaks, pizzas and sloked some butts on it so far. Nice cooker. Anyway, I also needed a gas burner for my discada and skillet cooking. Very Nice! 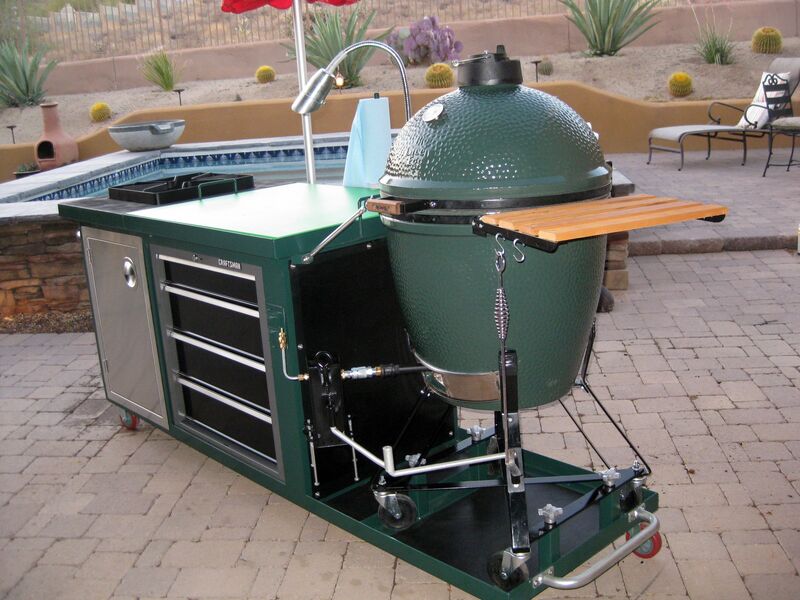 Is that a smoke generator on the BGE? Looks like you have thought of everything. Yes, I've made several smoke generators for UDS style drums. which is not suitable for low temp smoking on the BGE. Here's a video of my first generator. I changed it up a bit and only used pellets now. Very very nice looking rig!! The grill on the right with expanded metal, is that gas?? 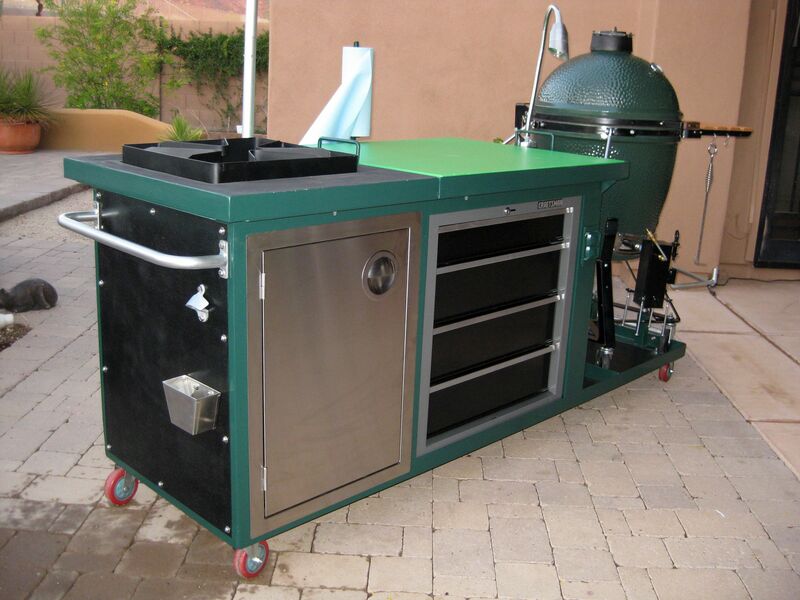 WSM, 22" WSM, Offset, UDS, Pro Q, Couple of Weber Golds, Bradley & Gas Burner. 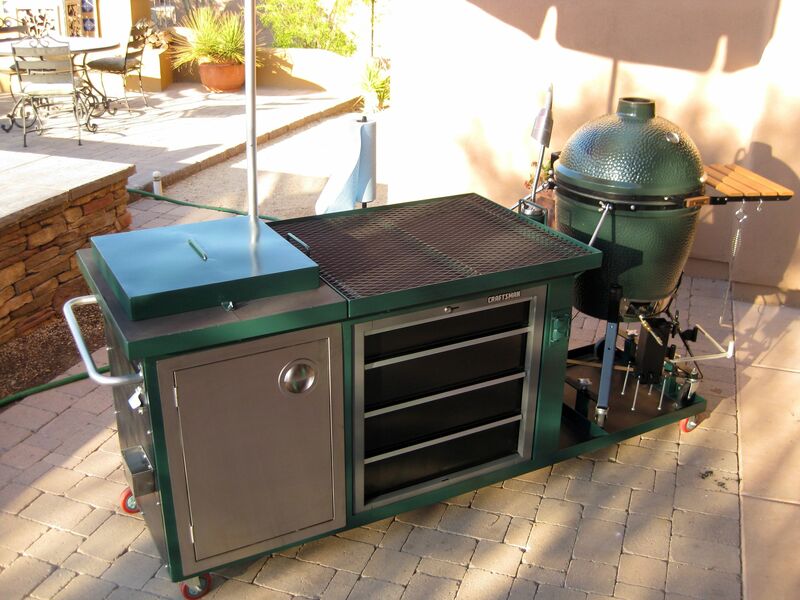 The gas burner is on the left, 16" x 16" 55000 BTU gasser. Are you're referring to the expanded metal? If so, the expanded metal is actually under the cutting board. When I use the gas burner and need to place something hot on the prep area, I remove the cutting board as the heat would melt it. So, the cutting board is removable for those gas cooks when I need somewhere to place hot skillets, pots, etc. WOW that is a beauty! !